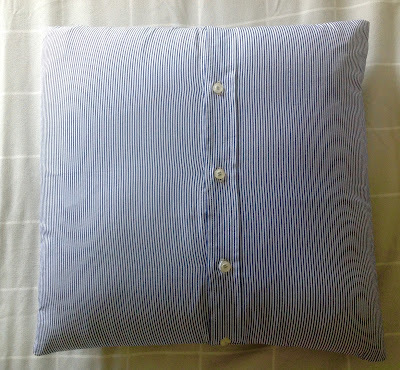 This cushion cover is made from one of my husband's old shirts, which unfortunately had been damp stained on the collar due to the highly humid weather. Just lay the shirt flat, buttoned, turned inside out. Mark out the square (whatever size fits your cushion) where the button panel will fall in the middle. Unbutton and turn inside out. 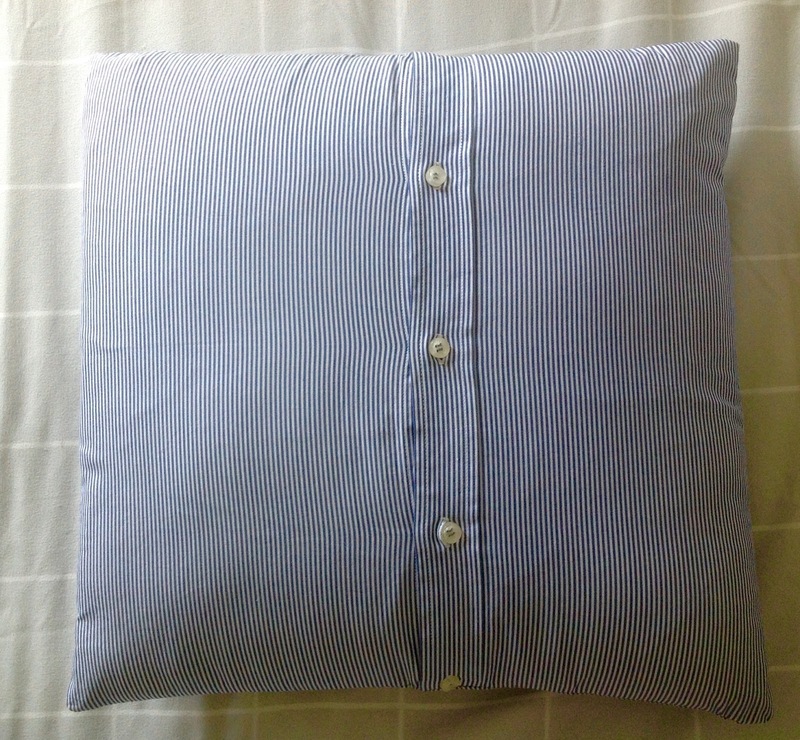 Now you have a cushion cover with ready button fastening. We probably won't buy another cushion cover - unless, of course - if there are some really nice ones.